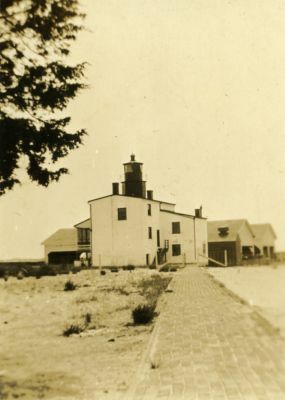 This photograph is a rare find and shows the lighthouse in 1927, just 2 years before the 1927 remodel. The photos are part of a larger photo album documenting a 1925 trip to southern Maryland by Julia Dent Best and Alfred Sellman Best. Julia Best was a 1919 graduate of what was then called St. Mary's Female Seminary. The album was donated to St. Mary’s College of Maryland Archives by Julia Best's great-niece, Virginia Arndt, of Solomons.